CR Clarke & Company was founded by Chris Clarke in 1974. With industrial experience at Rolls Royce along with seven years as an engineering lecturer. Chris was approached by a former colleague to build a simple heating machine to use with plastics in school workshops. Production started in the outbuildings of the family home, and by 1977 a small range of strip heaters and vacuum forming machines had been developed. In 1978 the company relocated to Ammanford, South Wales and moved to its current factory in 1982. Chris Clarke retired in 2004. At this time his son Maurice completed a Management Buyout to purchase the company and take it forward. Today, we have a dedicated team of around 25 people, many of who have worked in our company for over 20 years. This depth of experience helps us both when working in new projects, and also with any support questions that arise even for older products. We are continually developing our range of products. We use SolidWorks 3D CAD for this work, enabling us to model and develop new products and modifications quickly and efficiently. 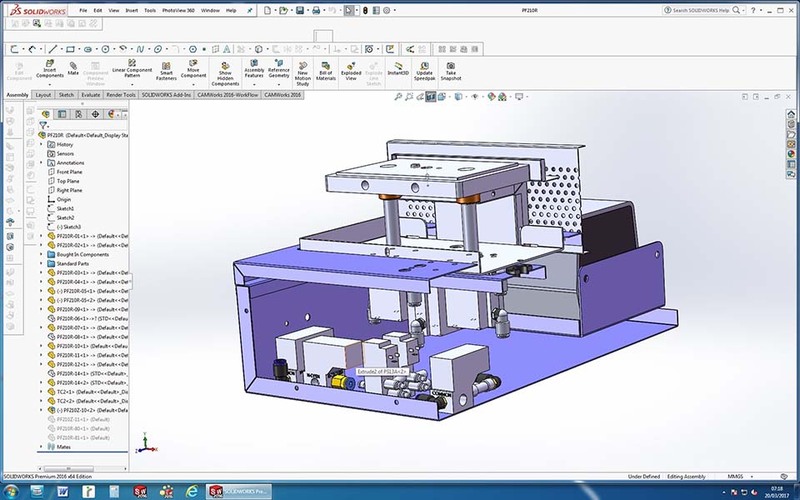 We have add-ons to the SolidWorks package for sheet metal (Radan), CNC milling and turning (CAMWorks), documentation (SolidWorks Composer) and schematic generation (SolidWorks Electrical). We believe that this powerful suite of software, coupled with our skilled design engineers, enables us to respond to any customers requests and also continue to develop our product range. 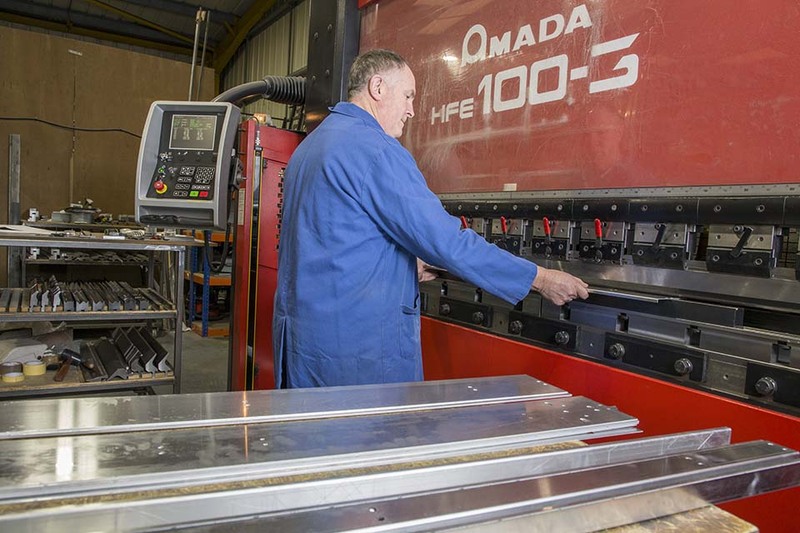 Most of the cabinets for our machines are manufactured from sheet metal, stainless and aluminium. This is profiled using a state-of-the-art Amada CNC punchpress driven by CADCAM software linked directly to our design software, and then folded using an Amada CNC Pressbrake. 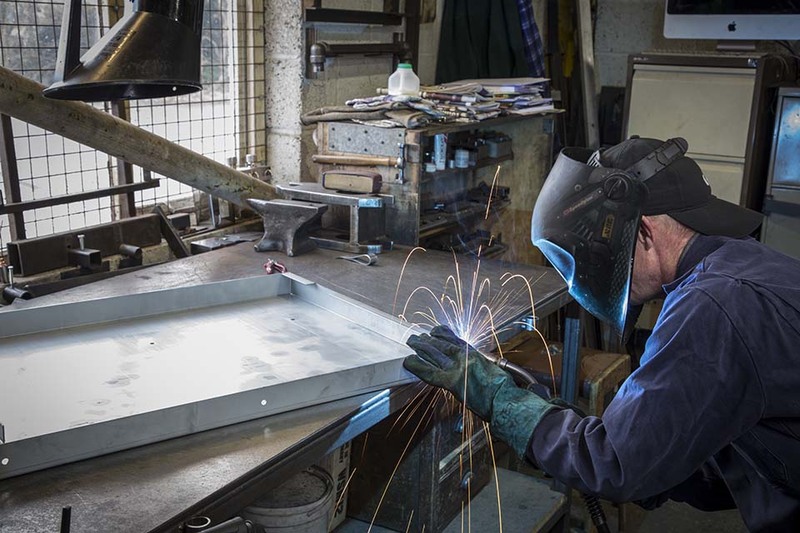 Our technicians also use spot, MiG and TiG welding to create our machine parts. 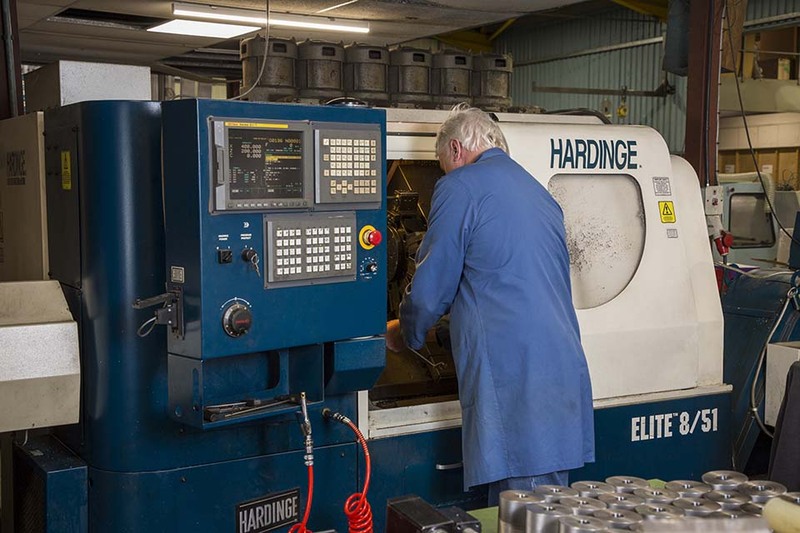 Our Machine Shop is equipped with two CNC Vertical Machining Centres, 3 Axis CNC lathe, 2 Axis CNC lathe, and an array of manual and semi-automatic equipment. 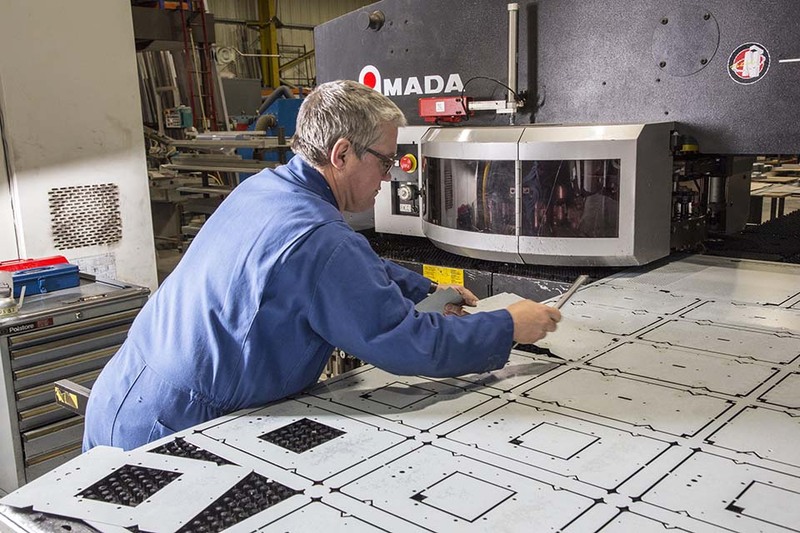 Our CAMWorks software allows us to programme our machines directly from the 3D model of the component, minimising setup times and enabling us to produce small batches to close tolerances very efficiently. 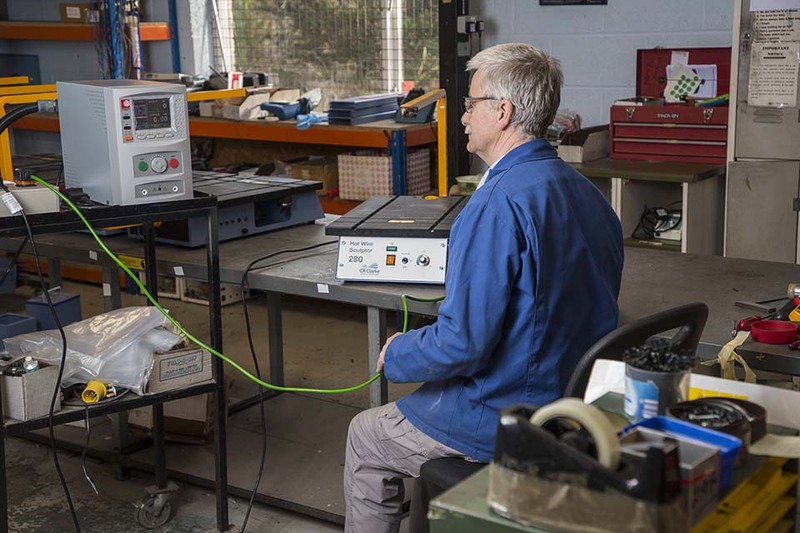 Our skilled technicians complete the mechanical and electrical assembly of our products. 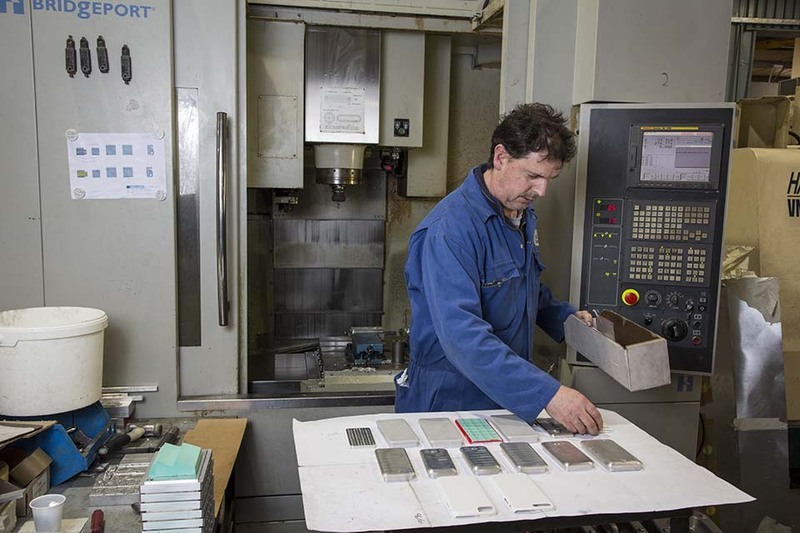 As all of our products tend to be manufactured in relatively low volumes our technicians are multi-skilled enabling them to turn their hand to building any of our machines. We have a wealth of experience with shipping items from our factory across the world and work with some of the leading freight forwarders. 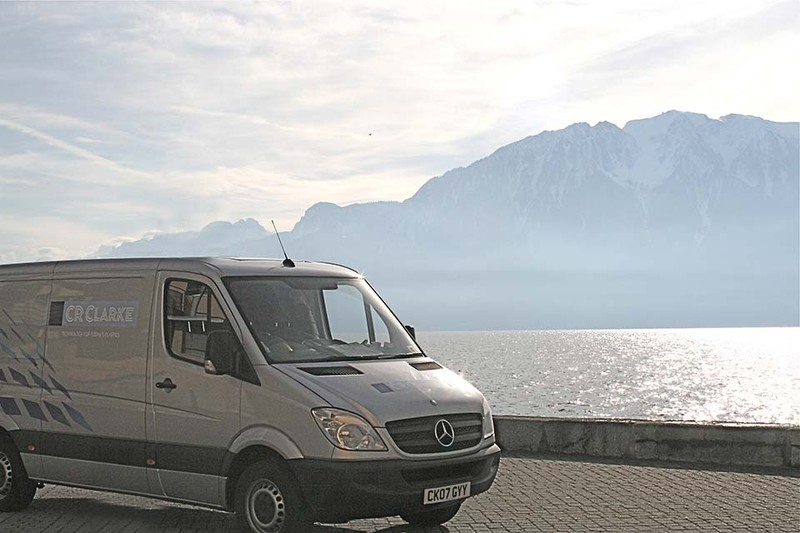 We also have our own fleet of delivery vehicles which regularly travel across the UK and Europe. 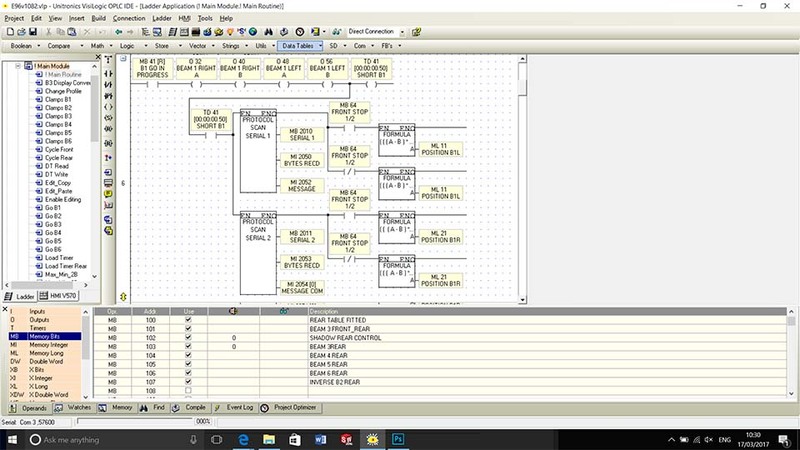 We have used PLC control in our products since 2003 and have two core PLC systems that we use in our products. One is a bare-board system and the other is a full-colour touchscreen. We have developed all of the PLC programmes that are used in our equipment, and over the years have provided additional features for customers including barcode scanning to control machine parameters, auto-emailing from the PLC to integrate with production control systems, and in-cycle label printing of ID tags. Should you have any specific requirements for any of our PLC controlled machines we would be happy to discuss this with you. A large proportion of our output goes into UK education, primarily to Design and Technology in Secondary Schools, where plastics have been part of the National Curriculum for many years. Exports account for around 20% of our output, with a mixture of commercial and educational customers. We have developed close relationships with distributors in many parts of the world, and these are always on hand to provide you with highly knowledgeable local support.